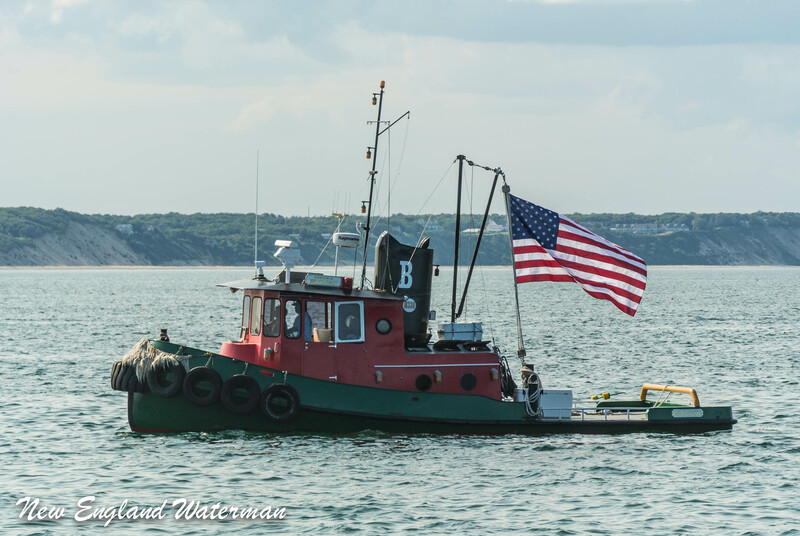 1600 ton Master Near Coastal, Master of Towing Vessels, Maine Maritime SVO alumni. Currently spending six months of the year hooked up and hard over at the throttles of a tugboat. Of course that is just a list of professional qualifications and a job description. Who I am is another New Englander in a long line of those with salt water in their blood and the horizon in their eyes. I like to share, through my amateur attempts at photography and writing, the things I see at work and a bit of the life a mariner lives. All commentary and opinions are my own and do not reflect the views or position of any of my employers. 29 Responses to Who is this guy? Thanks Frank! It’s nice to see I have some international readers haha! 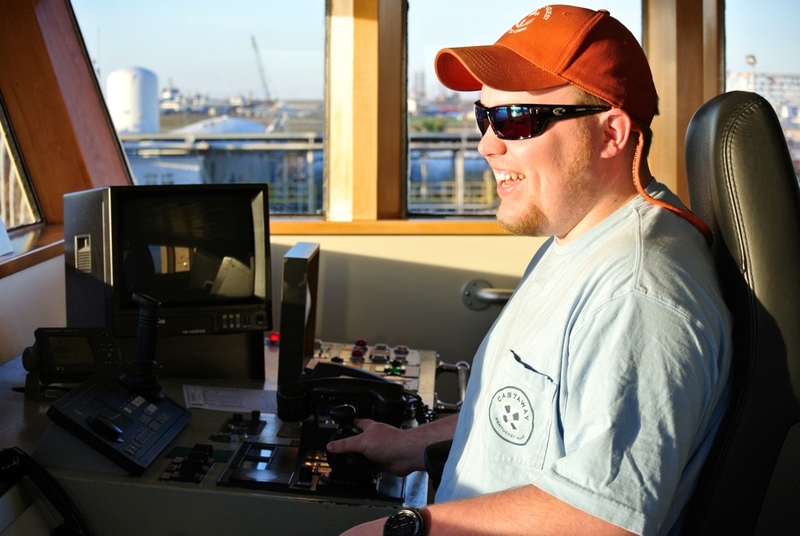 Hey- I stumbled across your blog today indirectly through the Maine Maritime Alumni magazine. It’s great! I enjoy your observations on all things maritime, and the pictures are excellent. Although my experience with the Gulf is limited (went cadet shipping with Lykes Brothers back in the day) it’s cool to see all the coverage you give to the local towing community. I was a relief mate for awhile on the Quenames out of East Boston, and it’s good to see how you document some of the jobs you’ve done, especially on the Jaguar. That’s a cool little boat. Anyway, have a good trip, and keep up the good work. Thanks for the words, I geuss this blog is my way of staying connected to New England while I am here in the gulf. If you are ever around the south shore drop me a line, I’m always up for taking an alumni to lunch. My husband works for chouest he was on the Gary chouest when he first started. Nice blog, good job man! From: yet Another NewEnglander in Cajun Fleet…. Thanks for the replys everyone, it’s always nice to hear from readers. If you don’t mind, I’d like to link your blog to my website. I think some of the kids would get a kick out of reading what mariners actually do. I’ll be putting another one up, The Nautie Mermate. She’s a Chief Mate on a cargo ship, very funny, and gives a different perspective. Is this okay with you? Hey, thanks for the like on my blog, you have a great blog here, I’ll be back. Stay dry. You’ve got an awesome blog yourself, great pictures. Keep the barnacles wet! Love your website. MMA 87 Deck. Cadet shipped in the GOM with Offshore Logistics in 1985. I think I was the first cadet to ship out as a cadet on a supplyboat. Sailed as an OS. After graduation worked with Point Marine out of Morgan City for couple of years. Have worked shoreside and OSV on and off since then, planning on returning to the GOM in the Spring for a last fling. Keep up the good work. Thanks for the views and always glad to hear from another alumni. You seem to enjoy your life, and this is the best thing you do! Cheers! My relationship with water: I think it is holy, I love photographing it. Apart from that, I am a championing at the fine art of drowning. Gold Medallist here! Thank you for the views and comments Rajiv! I also love photographing water, and the things and people on and around it! Have a look to this Blogging event running in Sailors Club. Hey, I found your blog from a post you made on Art of Hookie. Nice blog and great photos. I heard you met my mom at the grocery store the other day and talked about Maine Maritime. What are the odds. She mentioned to me that you said you would be willing to help me find a co-op for this summer and I am actually still looking for one. I would love to be on a tugboat. I can send you a copy of my resume and cover letter if you would like. I appreciate any and all help. Thank you very much. Jack, shoot me an email @ sailorbytrade@gmail.com or or drop me a line on instagram benthewaterman.